ruthdelacruz | Travel and Lifestyle Blog : Hafa Adai! Visit Guam this 2015! Hafa Adai! Visit Guam this 2015! 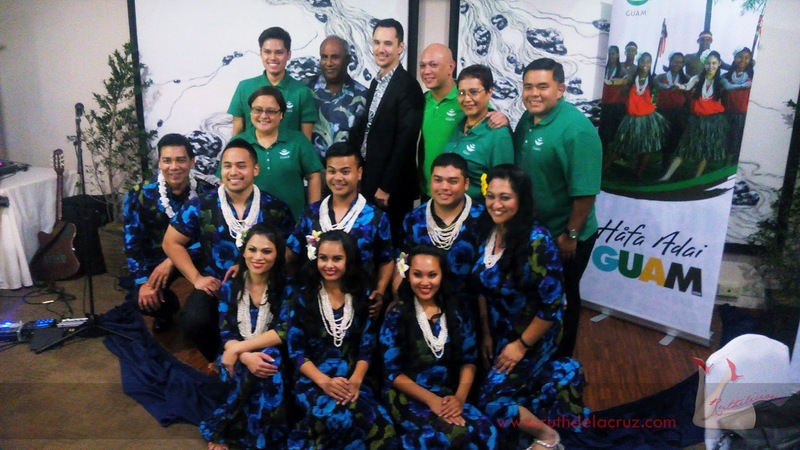 I experienced the warmth and gregarious spirit of the island of Guam through the Guam Visitors Bureau - and their invitation to visit the beautiful island of Guam is so enticing that I want to pack my bags now and experience the neo-island lifestyle! Guam is just three and a half hours flight from Manila - the closest US island territory in the Philippines. It has a perfect balance of rich culture, natural island beauty, luxurious spa and resorts, world class entertainment and duty-free shopping! My friend attested to the wonderful experience Guam offers its visitors - and if securing a Visa is your biggest worry - here's the good news - US is now more lenient in approving tourist Visas. You can fly to Guam via Philippine Airlines and United Airlines! Here's a taste of Guam for all of you! For now, you can visit the Guam Visitors Bureau at the 2015 PTAA Travel and Tour Expo until today, February 15, 2015 at the SM Mall of Asia SMX Convention Center, Pasay City. Check out the site for more information about Guam, and if you have been there - share stories with hashtag #visitguam. Have you been to Guam? © ruthdelacruz | Travel and Lifestyle Blog : Hafa Adai! Visit Guam this 2015!